Life is generally kinda loud and crazy around here, but sometimes it cranks it up a couple of notches and something has to give. 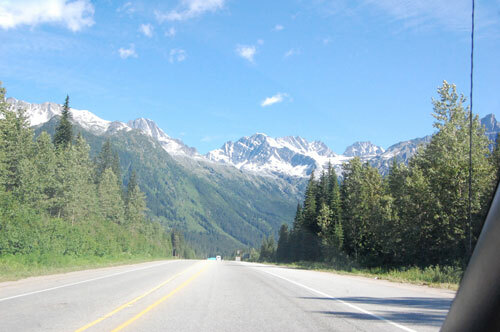 This summer that has been blogging. Our kitchen renos are complete, but those last few weeks got pretty difficult. We were tired of being in the basement, the little things seemed to take forever, the weather wasn’t barbeque friendly – basically we were ready to be done and have out house back. We actually left on vacation before it was completely done. Our vacation this summer was a road trip to the Albertan badlands to hunt for dinosaurs at the Royal Tyrell Museum in Drumheller and at Dinosaur Provincial Park near Brooks. Perfect thing to get three little boys excited enough to burst – which is not really helpful when you’re trying to drive. 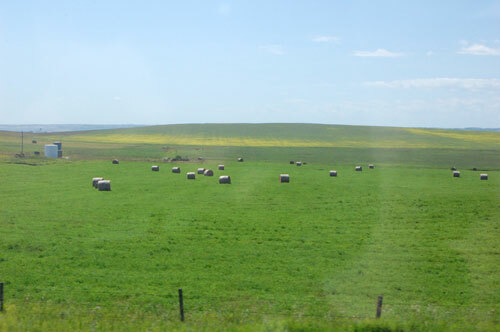 I distracted myself by taking photos out the window (when I wasn’t driving, of course). When we got to Drumheller, we promptly climbed all 106 steps up the world’s biggest dinosaur and looked out its mouth, but I forgot my camera. The next morning, we bought a two day pass to the Tyrrell Museum and made the most of it. 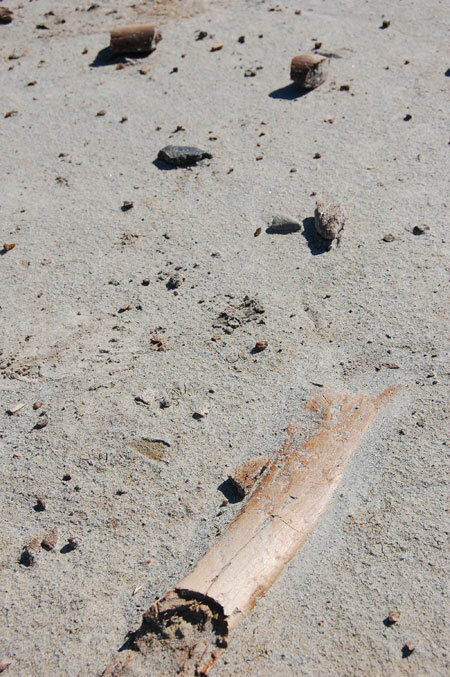 We saw Black Beauty – a T. Rex skeleton found by a couple of highschool students out fishing. She is truly magnificent. 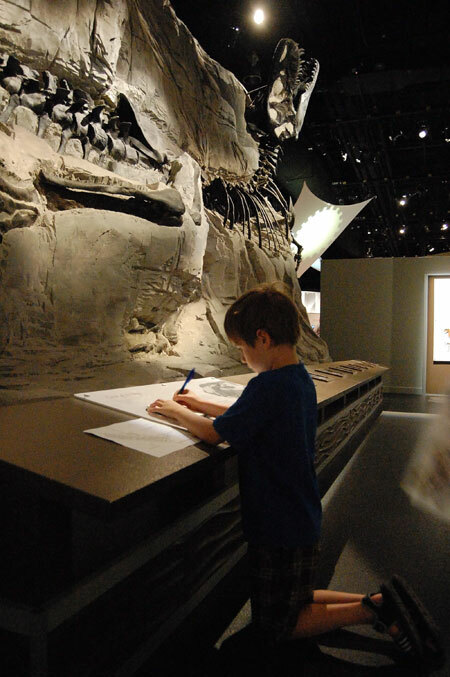 Love that my budding scientist took notes while visiting the museum. Mostly it was a list of dinosaurs, but still. This is perhaps the coolest thing I saw at the museum. 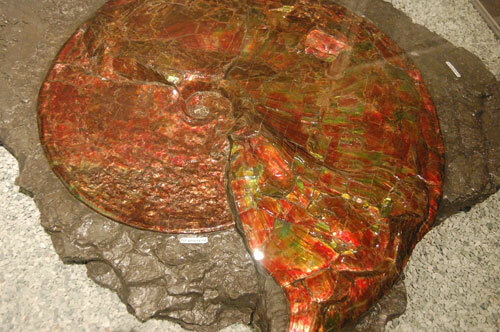 It is a HUGE ammonite that was fossilized with gemstone. Had no idea that this was possible, it was brilliantly coloured in person, the photo mutes the colours quite a bit. 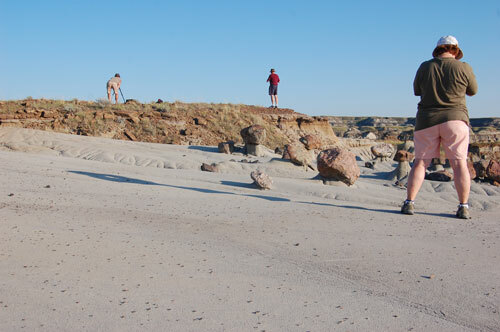 One of our goofy family photos taken at the smallest patch of badlands I’ve ever seen. Seriously it was cute. At least my DH and middle son know how to pose for a picture. 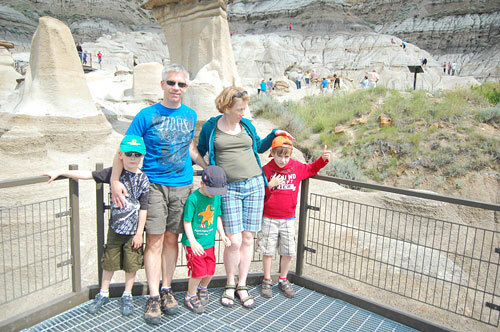 The other main attraction of our road trip was Dinosaur Provincial Park, also in Albert. 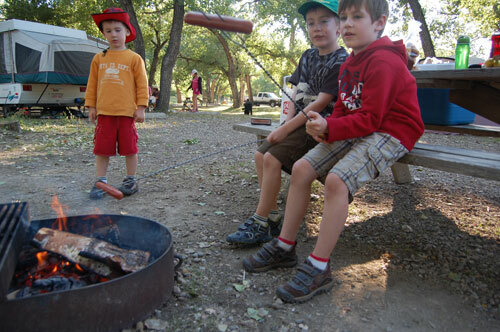 We camped there a couple of nights – the boys’ first camping trip. I think they were as excited about that as they were about seeing fossils. 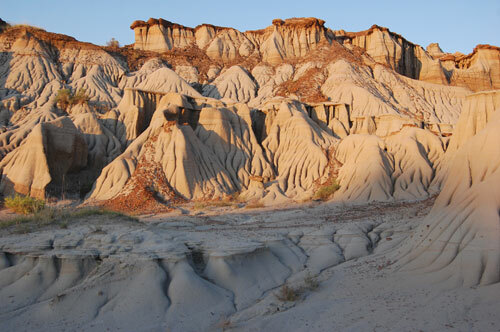 Dinosaur Provincial Park contains the most complete record of late Cretaceous fossils in the world and a lot of badlands to explore. On our first night there, I took a photo tour at sunset after setting up the tent. 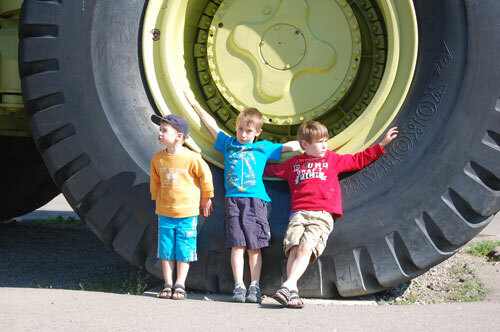 The next day we took a Fossil Safari tour which really rocked the boys world. 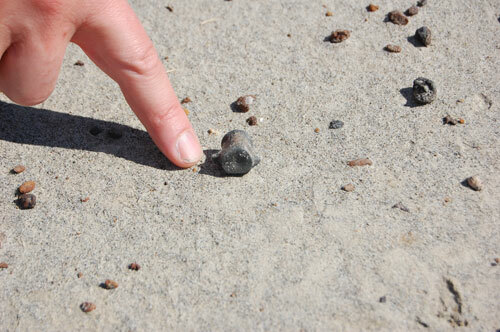 Our guide took us to an area that was literally littered with fossilized bones, teeth, claws, and turtle shells. We weren’t allowed to dig or move any fossils, but she would come and tell us about anything we found. 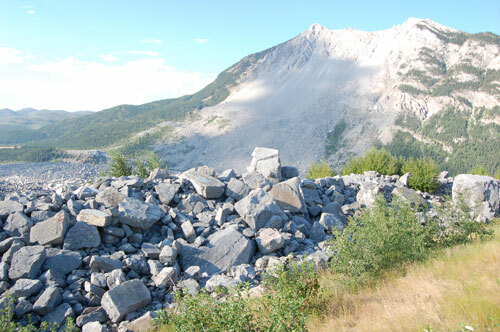 We stopped at the site of the Frank slide on our way home. A hundred years ago the side of the mountain slid and wiped out most of the town of Frank (90 people died, there were 10 survivors). The valley floor is still a jumble of rock with very little vegetation creeping in around the edges. The scale of the devastation is still awe inspiring. This photo really sums up my boys right now: oldest is trying to be a rock star, middle is goofy and littlest is full of beans. So now we have one day of craziness left before the routines return and life settles into a new normal. And hopefully I’ll be able to hear myself think again at least some of the time. Who said summer was lazy? !